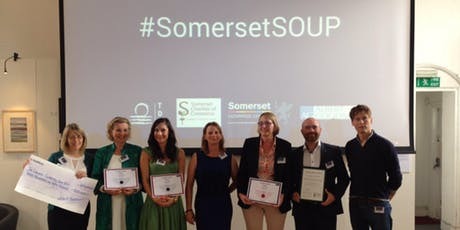 Somerset's business community is being invited to come and be investors for the day as four Somerset entrepreneurs present their pitches at Somerset SOUP. Four businesses will be chosen to pitch their idea with a chance to win a package worth up to £1,000. They will be competing against each other, delivering a short pitch to win votes and investment from the delegates at the event. SOUP asks every member of the audience to vote, with the winning business taking the ticket proceeds from the event, along with the prize package offered by event organisers TDA and sponsors. With an expected audience of around 60 business professionals, the event will also provide all of our pitchers great business exposure. The event takes place at the Red Brick Building, Glastonbury on Thursday 27th September, with networking starting at 5pm. The four creative businesses looking to gain investment are Tea Birds Community Cafe, The Rolling Cocktail Company, VoiceForms and Wild Wellies. This is a Glastonbury based event not to be missed!